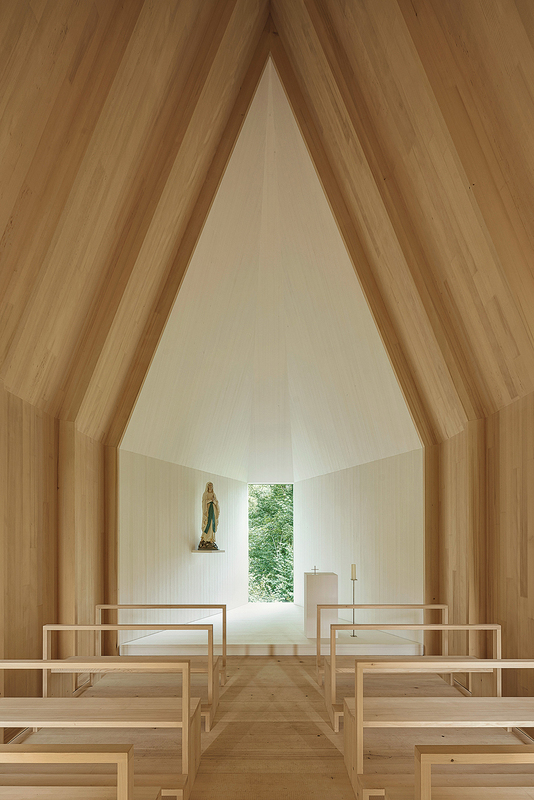 A chapel, which was initiated by a small community working together in the countryside – architecture which emerges from the context of social practice; it is neither great art producing never before seen objects, nor service in the interest of the optimal utilisation of capital. The general advancement and penetration of this ideology into all societal relations in the 19th century provoked a counter-reaction. “When numbers and figures | are no longer keys to everything created| when those who sing or kiss| know more than the learned scholars… then at a single secret word | this whole wrongheaded existence will fly away.” This was written at the beginning of the 19th century by the romantic poet Novalis, and many of his contemporaries found this secret word in Catholicism.